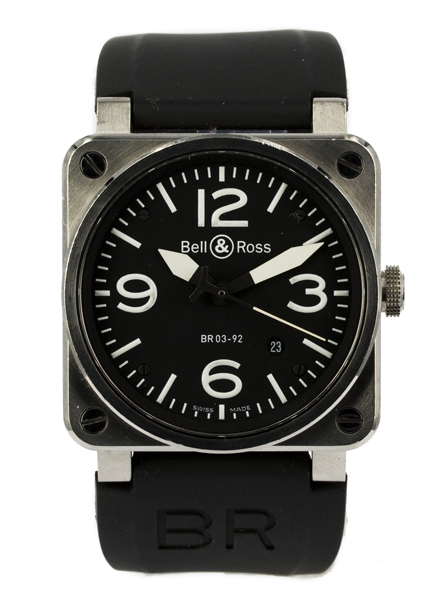 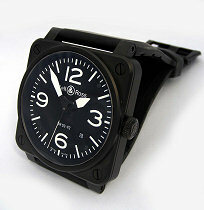 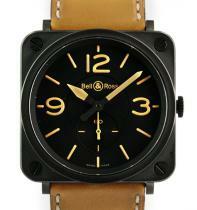 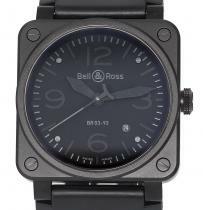 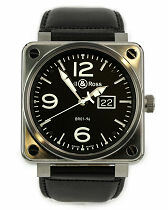 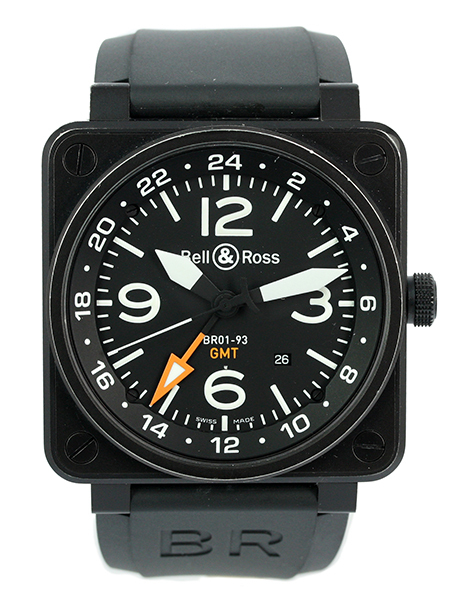 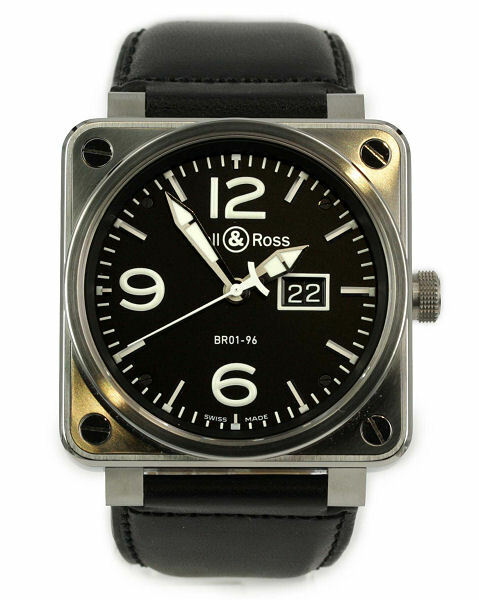 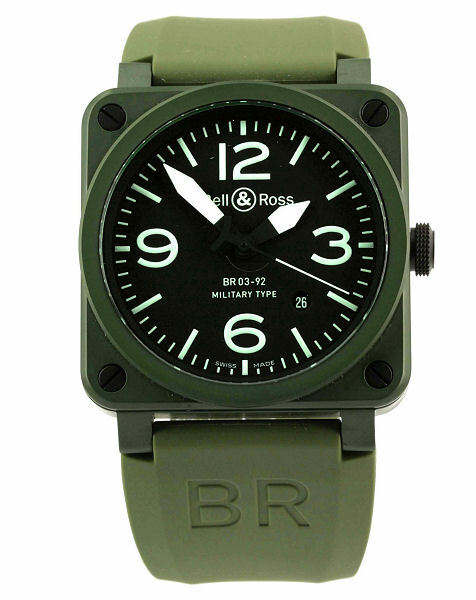 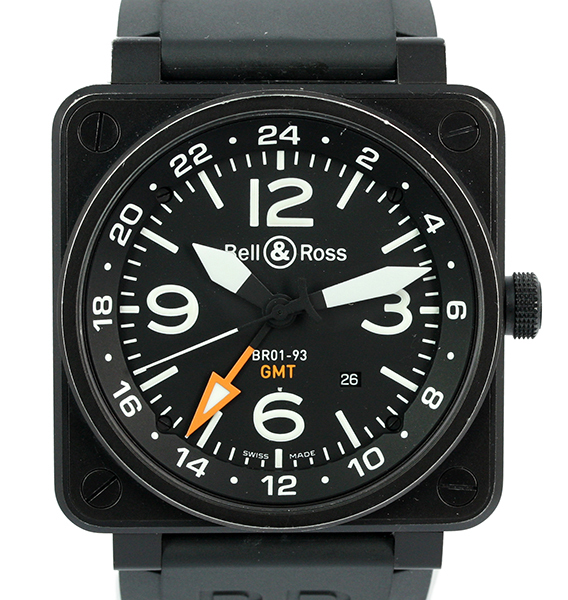 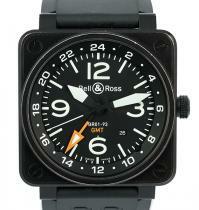 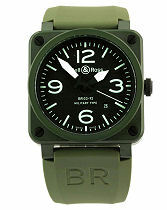 Watch Description: Matte black ceramic square shaped case with black dial. 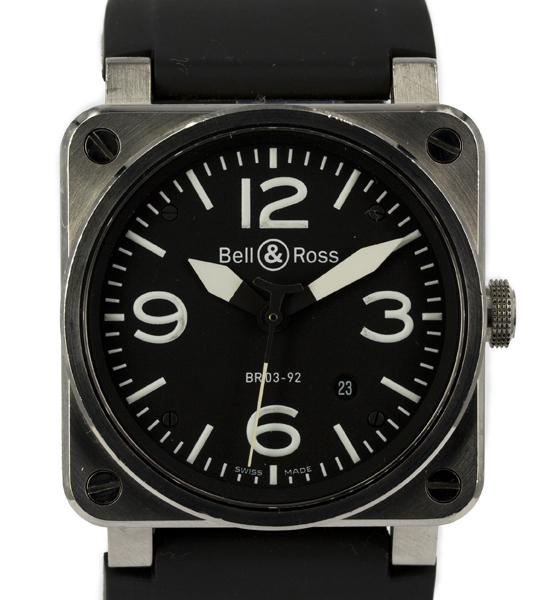 Appliqué metal index and numerals, hands covered with a photo-luminescent coating. 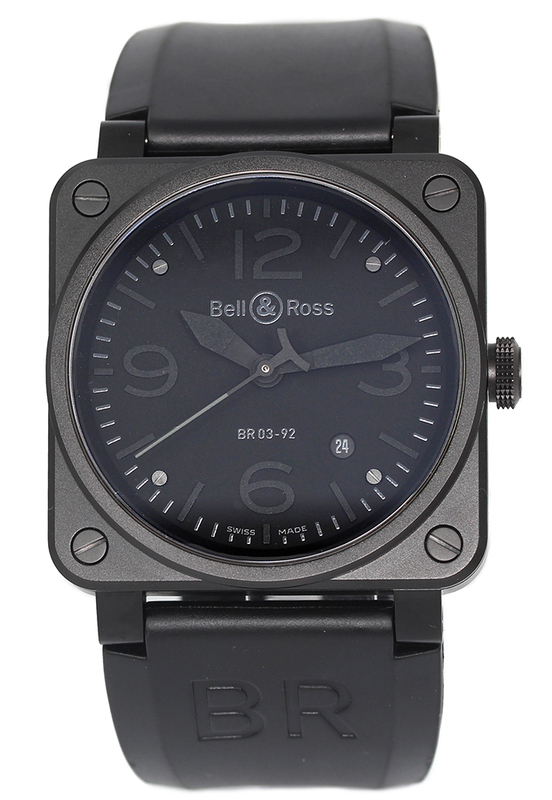 Black rubber and black heavy-duty canvas straps. Steel pin buckle with black PVD finish. 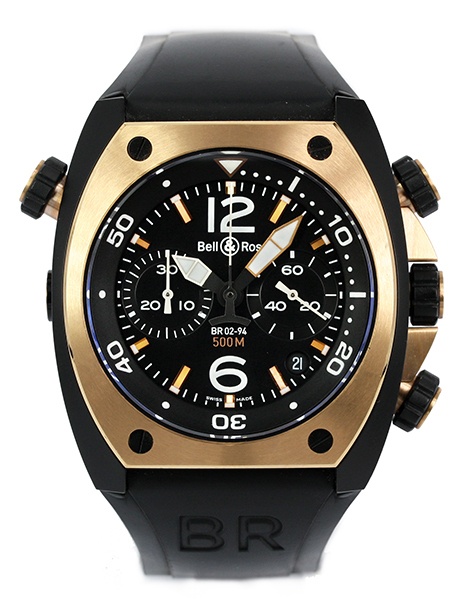 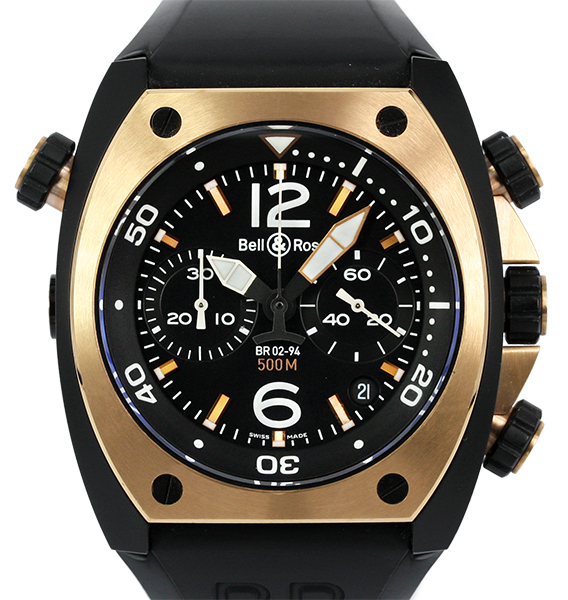 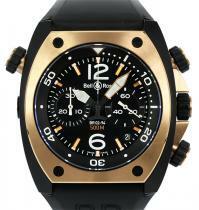 Watch Description: Satin-brushed 18ct rose gold and steel with matte black PVD finish. 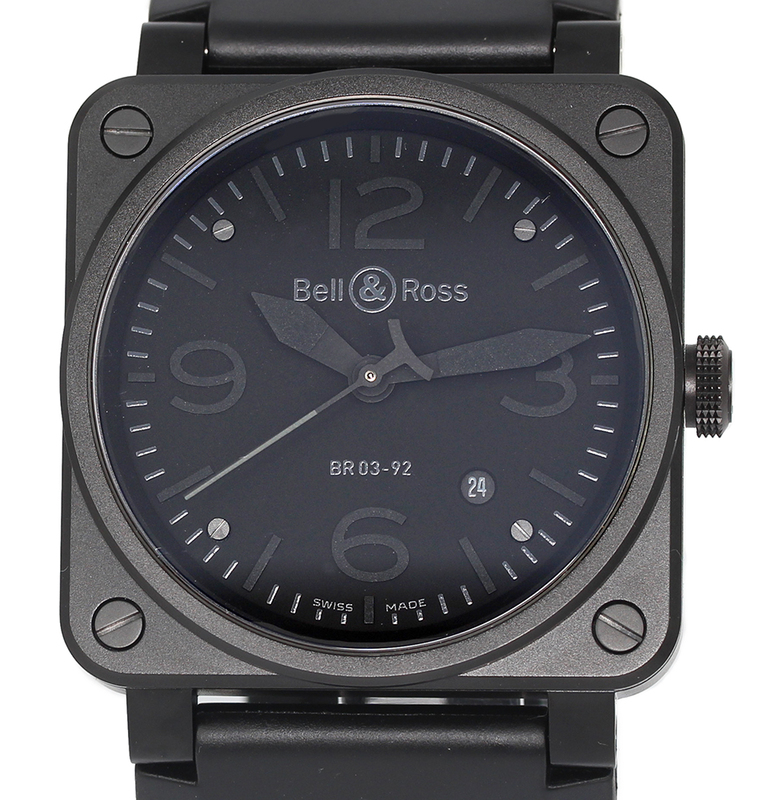 Screw-in pushers, crowns and case-back. 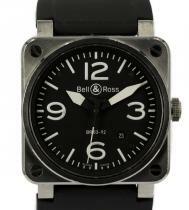 Decompression valve. 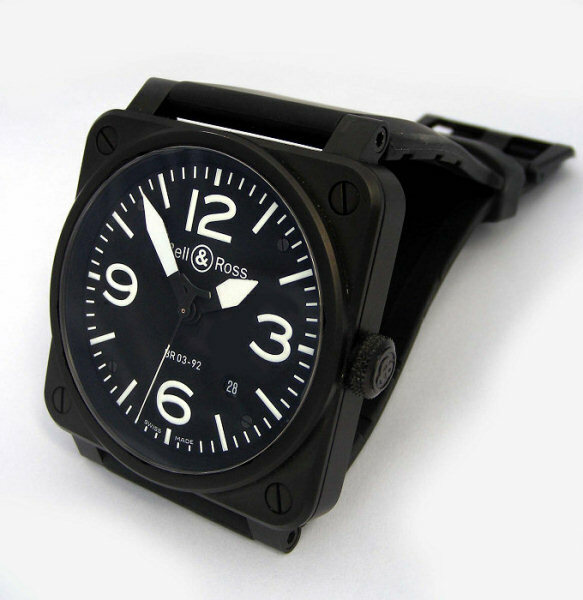 Black dial, luminous numerals and hands, unidirectional internal bezel, black rubber strap and PVD tang buckle. 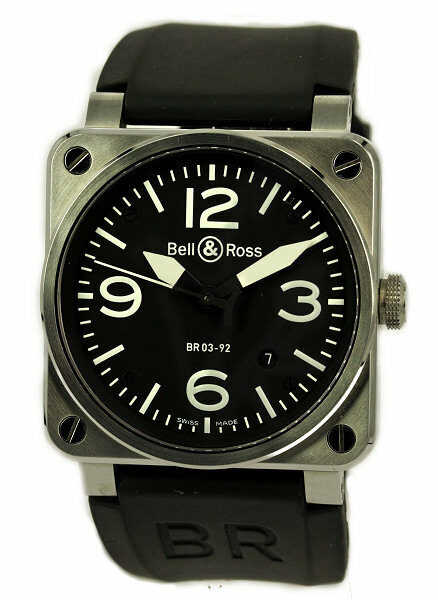 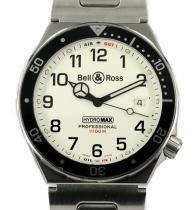 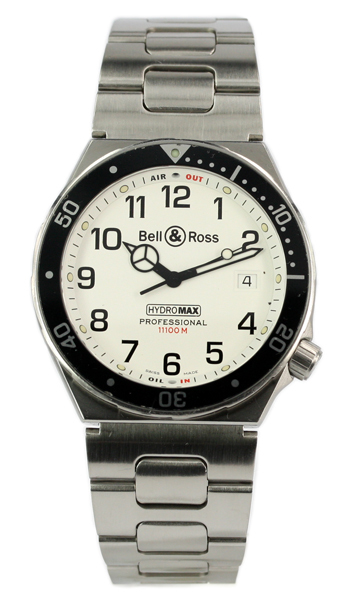 Watch Description: Mens or Ladies Black Ceramic and Steel Case. 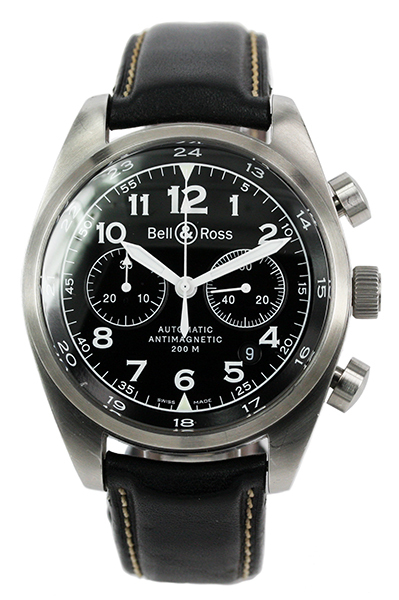 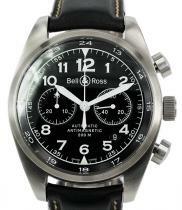 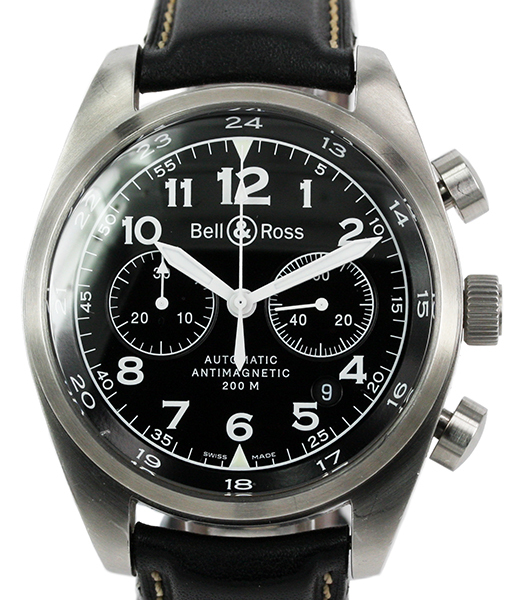 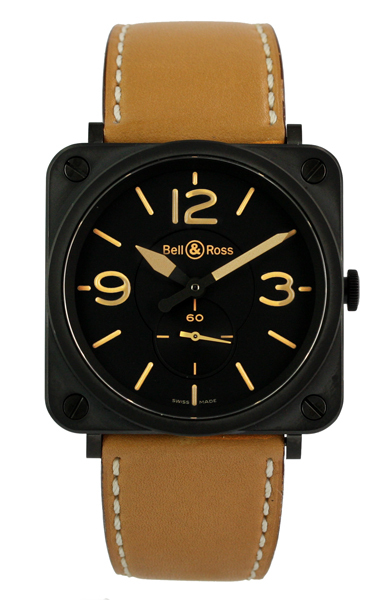 Bell & Ross Tan Leather Strap and Tang Clasp.